Workers at one of Russia’s biggest aluminum smelters say their Siberian town is doomed unless Moscow mitigates U.S. sanctions against aluminum giant Rusal, a predicament mirrored across the company’s sprawling operations. Trapped by mortgages for apartments built on barren steppe under communism, residents of Sayanogorsk, one of a string of towns dominated by Rusal, have few options if a loss of customers for its aluminum leads the firm to cut jobs. “The entire life of this city depends on Rusal,” said Evgeny Ivanov, until recently a foreman at the plant in Sayanogorsk, where pockmarked asphalt recalls the harsh winters endured by its 60,000 inhabitants, and icy blue mountains line the horizon. “If something were to happen to the factory, in my opinion, the town would die out. There would be nothing left for people to do here,” he said in one of the town’s few cafes, explaining that the private firm he now works at also depends on the plant. Deripaska has described the allegations as “ridiculous” and Russia has said they are a cover for an attack on its economy. The impact, felt in the halving of Rusal’s share price since the announcement on April 6, is too big for Moscow to ignore. The government will have to step in “so that people don’t start howling,” said a welder who has worked at the plant in southern Siberia for more than six years. “There are lots of people here who are unhappy with the government, and with Putin too. If the plant starts cutting staff, people will revolt,” he said, declining to be named for fear of losing his job. The scale of any support would have to be immense. According to one source with an understanding of Rusal’s trading volumes, it is possible the company has lost access to buyers of more than 2 million tonnes of its aluminum. That is more than half of the 3.7 million tonnes it produces each year. Not everyone in Russia’s Finance Ministry is keen to “spend money on saving fat cats,” a source in the ministry said. But Rusal employs 52,390 people across Russia, according to a report from 2016, and tens of thousands depend on those jobs. 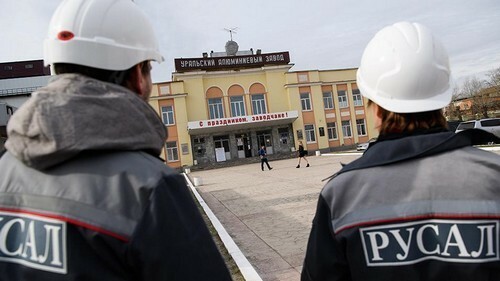 If the government does not come to Rusal’s rescue, workers will start banging their hard hats, the ministry source said – a reference to the Russian miners’ protests of the 1990s, when hundreds of thousands went on strike, including in Sayanogorsk. Such mass protests were a fixture of the decade, punctuating the presidency of Boris Yeltsin. 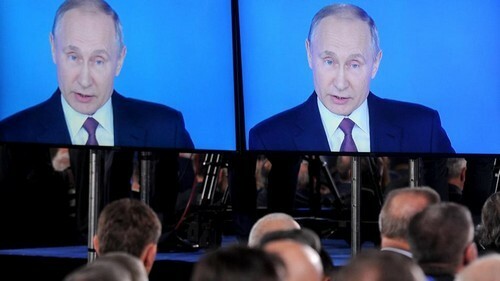 But they have become almost unthinkable since Vladimir Putin came to power in 1999 and their return would be hard for the Kremlin to dismiss. The government, which has promised to protect jobs and production at Rusal, did not respond to questions. A spokeswoman for Rusal declined to comment. Managers have sent reassuring messages, but in a basement bar selling dried fish and two types of beer, workers anxiously exchanged news. “If people are fired, what will they do in this town? … They’re not going to sell sunflower seeds, are they?” a worker responsible for repairing smelting pots said. Sayanogorsk was founded along with the plant in 1976, one of 319 officially designated ‘single company’ towns in Russia, of which ten are dominated by Rusal, according to 2015 figures. The town’s pupils go on to one of two technical colleges, a smelting engineer at the plant explained. “Practically everyone” from his class went on to work for Rusal, he said, adding that he would rather have started a creative business. People would try to leave the town if the factory cut jobs, one contractor said, but many would not be able to. “Most people have a mortgage here, including us. We don’t know if it’s even possible to sell. And apartments sell badly here anyway. Let alone in a situation like that,” he said. Rusal is not registered to pay taxes in Sayanogorsk, but its grants are vital to the city budget, two local politicians said. “When the town asks regional authorities for funding for a project, it’s told: you have Rusal, go work it out with them,” said Erik Chernyshev, a local Communist Party politician, former member of the region’s upper house, who also worked as an engineer at the factory for 18 years. Rusal gave 271 million roubles ($4.42 million) in 2016 to three Russian regions where it has its operations, including Sayanogorsk, according to a company sustainability report. It spent a further 140 million roubles in 2016 for general financing of social programmes across Russia, the report said. “Rusal’s regular grants have enabled sports facilities and other amenities to be built,” Valentina Efremova, head of the factory’s youth council, said. The only hospital in town was built with Rusal funding, the company said in a 2012 press release, as well as two kindergartens, a sanatorium, sports centers and a church. The Day of the Metals Worker, for which Rusal throws an annual party packed with pop stars, means almost more to residents than Russia’s main festival, New Year, said ex-foreman Ivanov, who also managed Rusal’s youth union. “If Rusal… runs into any serious difficulties, this affects the whole town,” he said. Every day, a Rusal train takes some of the company’s 3,500 employees to its vast, steaming plant, with onsite subsidiaries handling everything from repairs to railway maintenance. Offsite, too, the factory is woven into the fabric of the town. “The little shops, the businesses, they’re all somehow tied to the plant. Some deliver produce, others do small-scale repairs,” the Rusal smelting engineer said. Without it, the town “would wither away, of course”. Residents track Deripaska’s comings and goings by his helicopter. This week it spent a day at the plant, factory workers said, while the businessman held a closed-door meeting with managers. One resident said it then flew to Deripaska’s private estate in the countryside nearby. The so-called ‘oligarch’, who potentially lost $4.56 billion in just the first four trading days after U.S. sanctions were introduced, has also built a ski resort and hotel nearby, according to reports in Russian media. Sayanogorsk, Rusal’s third-biggest aluminum plant, is where Deripaska began buying up workers’ shares during Russia’s privatization drive after the fall of the Soviet Union in 1991. In 1994 he became the plant’s general director at the age of 26. When he first turned up to business meetings in the early 1990s he was known as the “lad in the cotton-wool coat” for the shabby worker’s jacket he wore, two residents said. The Kremlin mentioned possible ‘temporary nationalization’ on Thursday, but on Friday Finance Minister Anton Siluanov said that was not an option for Rusal. He said the firm had sought help with liquidity and demand for aluminum, which is already being stockpiled around the town. 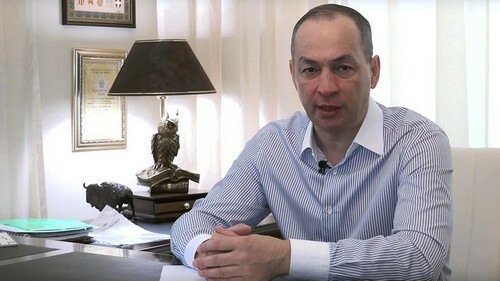 “It’s not just Oleg Vladimirovich (Deripaska) who is in trouble. It is tens of thousands of jobs in the region,” Viktor Zimin, head of the Khakasia region where Sayanogorsk is located, was cited by Interfax news agency as saying last week.